Let the Fall Challenge Begin! 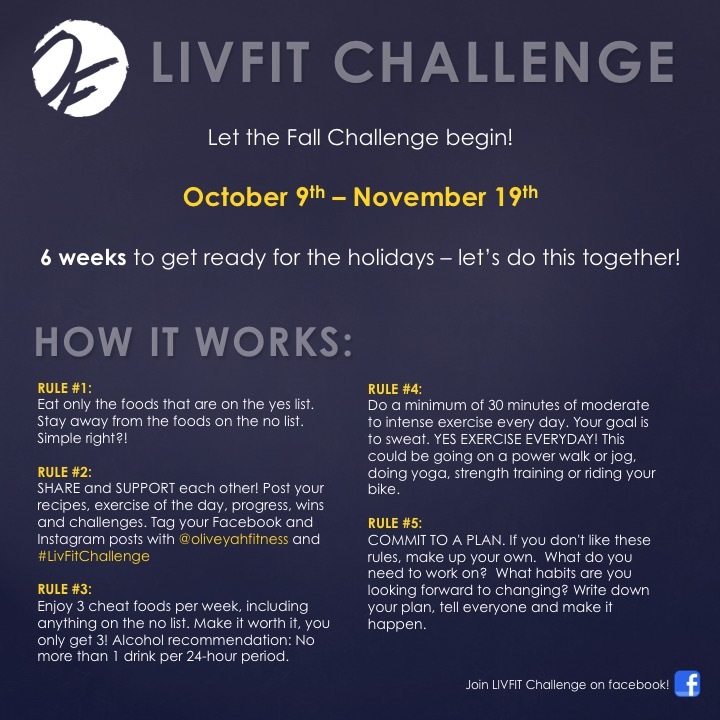 The next LivFit Challenge starts today, October 9th and will run until November 19th. I am super excited to have you join me for this 6 week challenge to get ready for the holidays. 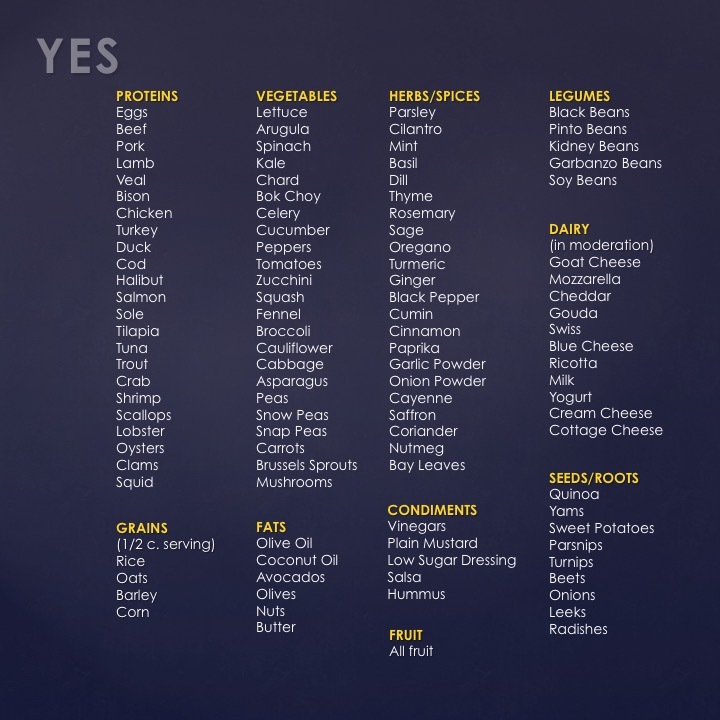 In the images below you will find out how the challenge works and a list of YES and NO foods. Get ready... clear out your kitchen of any NO items and do a grocery run filling up your fridge and cupboards with YES foods. Let’s do this together. Join the LivFit Challenge group on Facebook to get full support along the way.